Presidential historian Doug Weed, who has traveled to Paris every year since 1974, says he is in disbelief over Paris’ iconic Notre Dame Cathedral engulfed in flames. 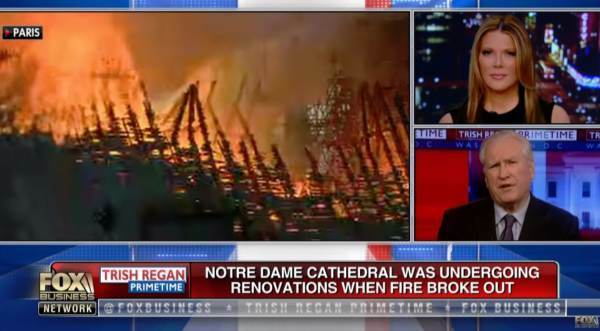 Doug shared the amazing history of the Notre Dame Cathedral with Trish Regan on FOX Business Network. Doug told Trish Regan about the entry arch on Notre Dame that took over 100 years and three generations to build. The Crown of Thorns is kept at Notre Dame Cathedral.